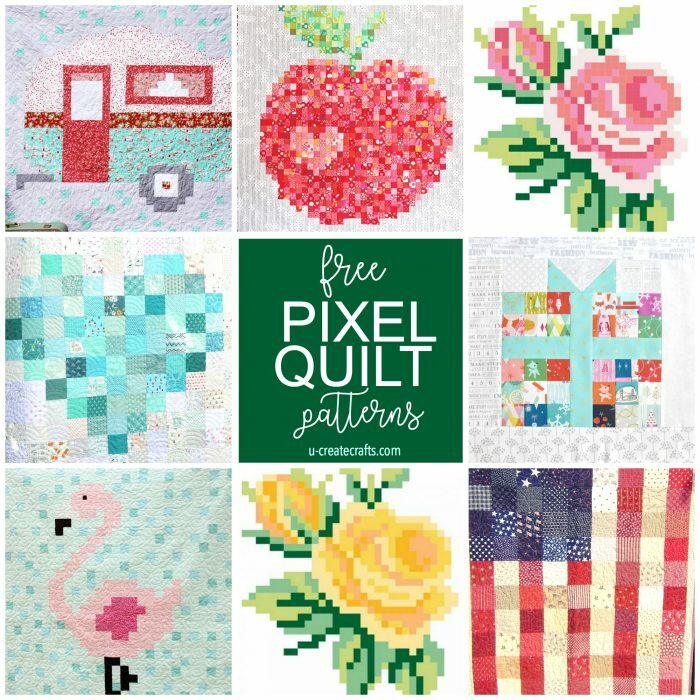 Create a rose pixel quilt using solid fabrics. 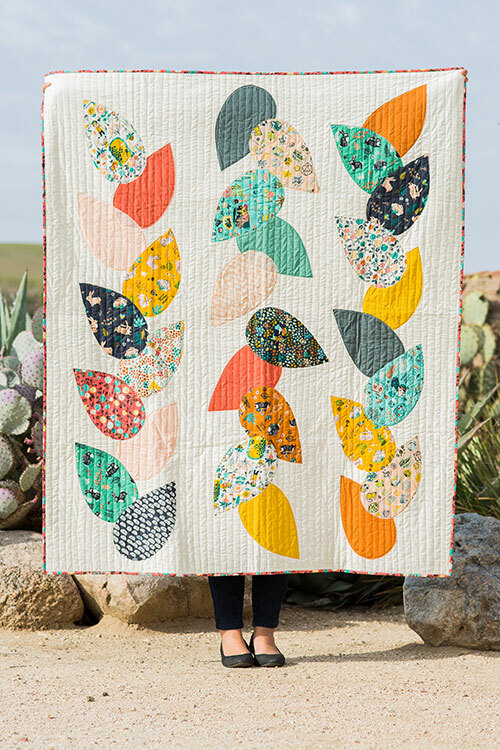 Mix it up using your favorite colors for the petals and leaves. 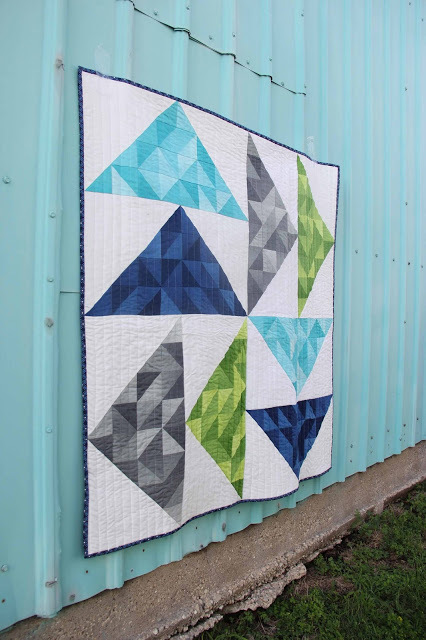 You can never go wrong with solid triangles. 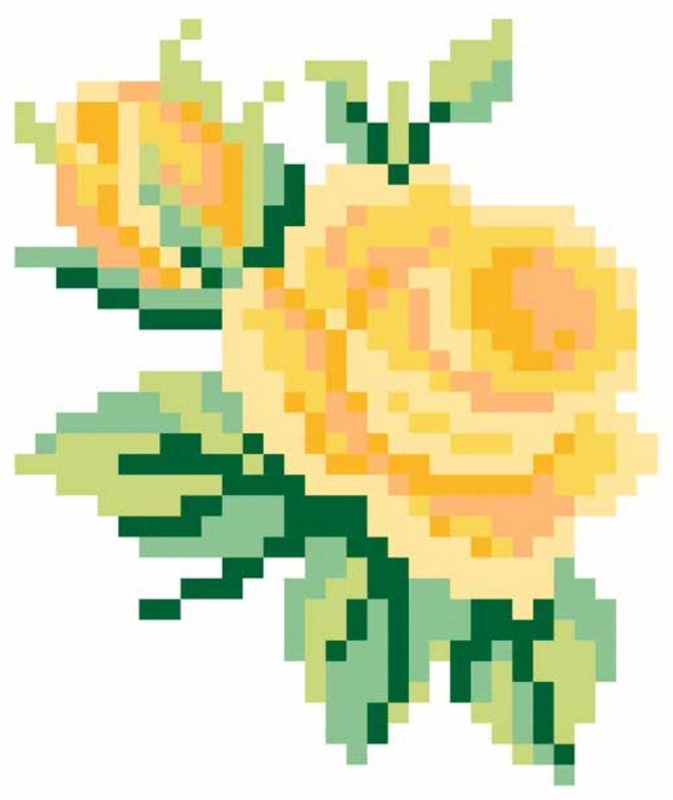 How classy is this version? 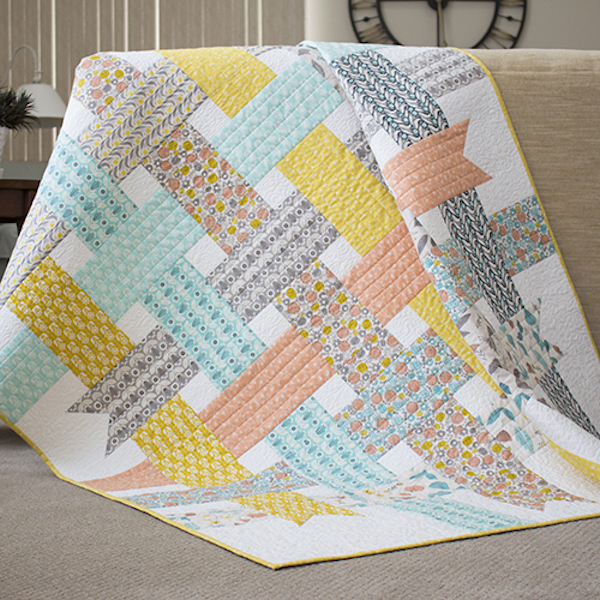 Weave strips of fabric and create this beautiful, square quilt! 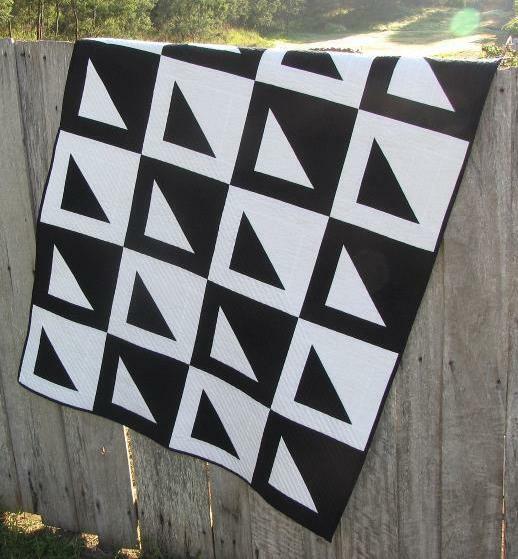 Triangles within triangles? LOVE it. 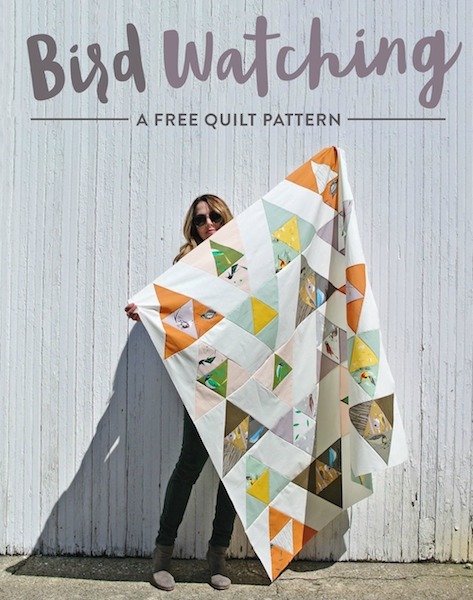 Ombre Dutchman Quilt Pattern by V and Co.
Here’s another fun version with trianges! 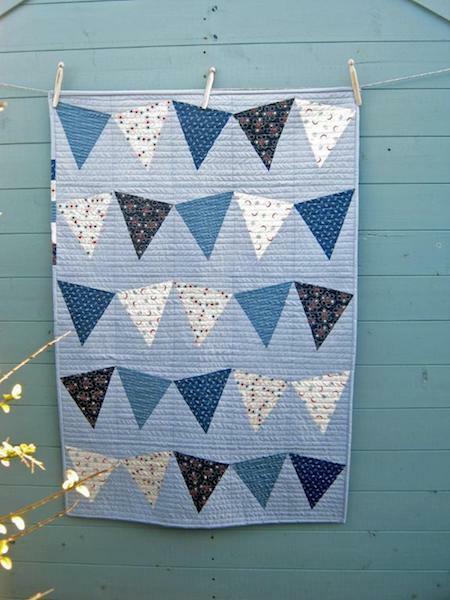 How much fun would this quilt be by adding letters in the buntings? 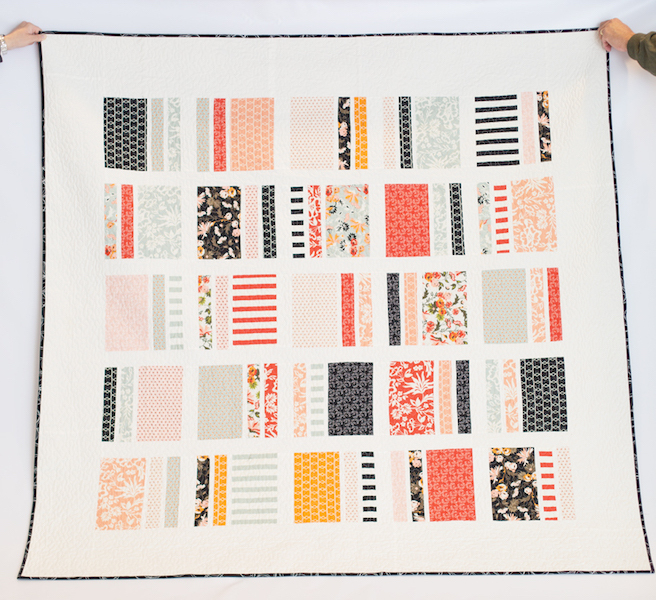 Gorgeous strips in different sizes! 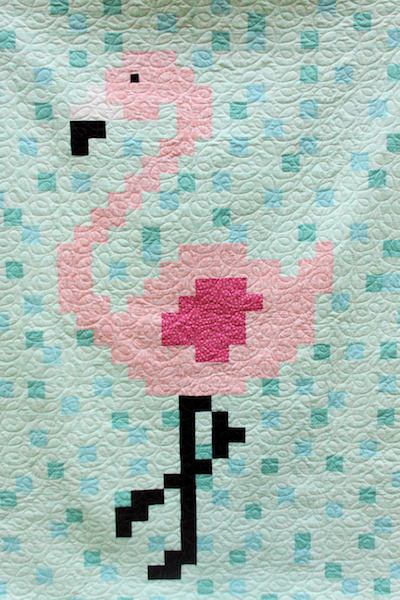 Another pixel quilt … bird style! 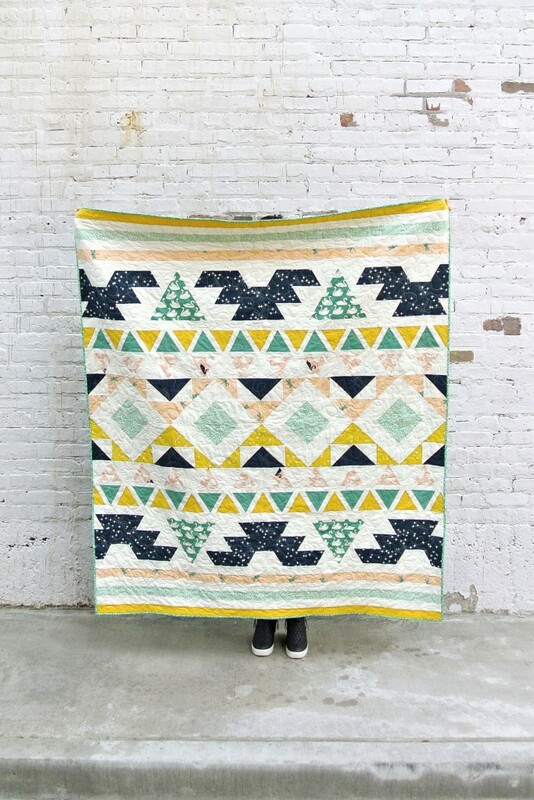 How much fun is this Aztec design with a variety of colors? Oh my word. 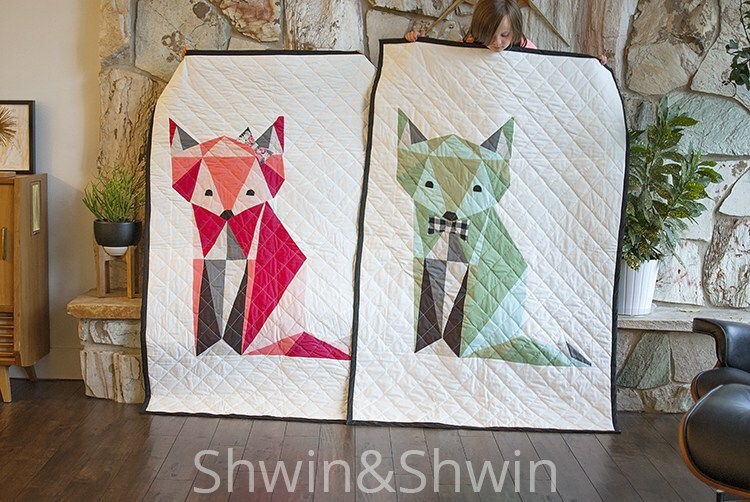 These foxes are beyond adorable! 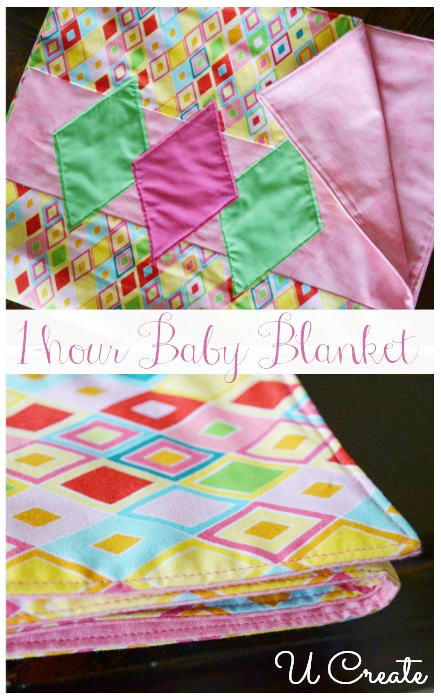 Fun for baby, too! 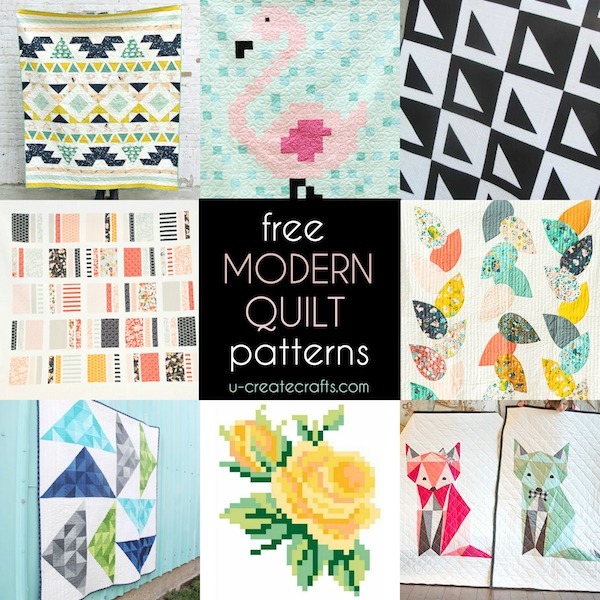 I hope you enjoy this collection of modern quilts! 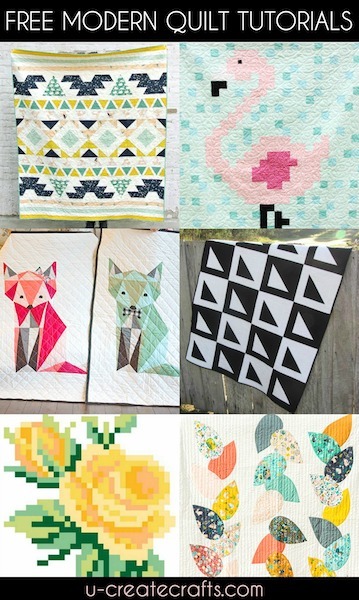 Make sure to stop by and tell the designers THANKS for sharing their amazing talents with us!